Castile Construction is a local remodeling contractor specializing with indoor and outdoor living remodeling. 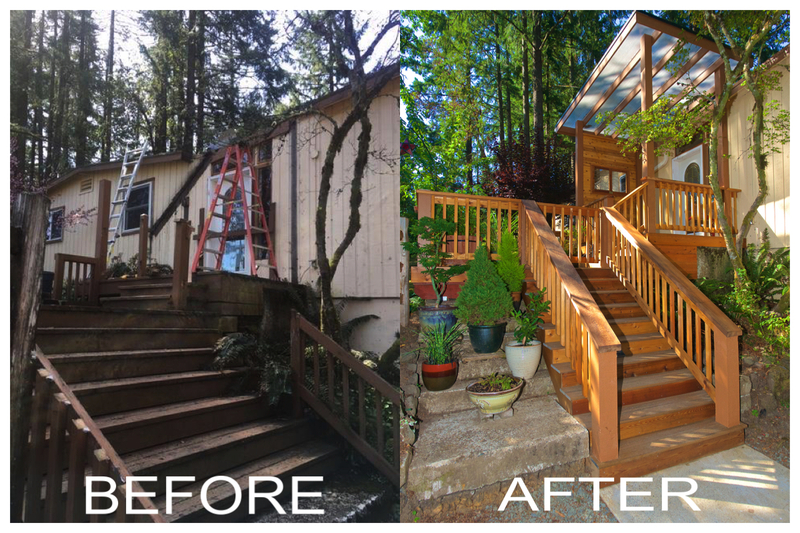 On this page we introduce a recent Eugene new deck renovation we did. 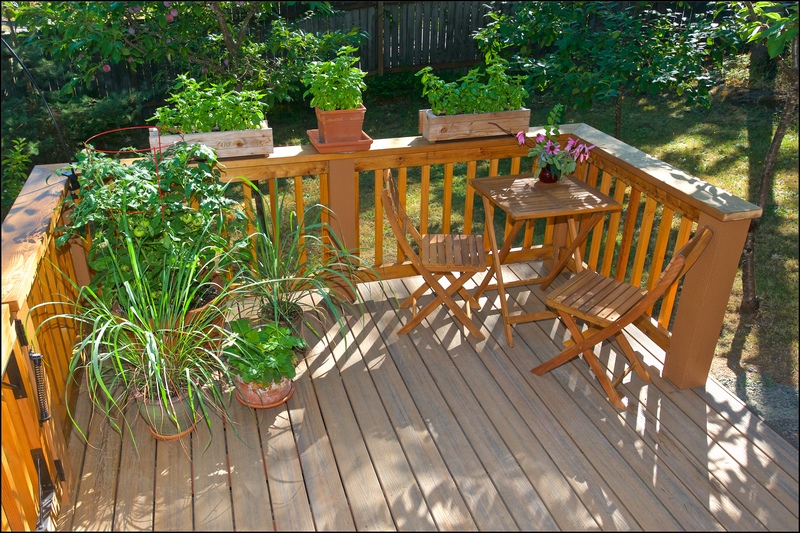 We have managed to update this small, outdated deck into something earthy and cozy! 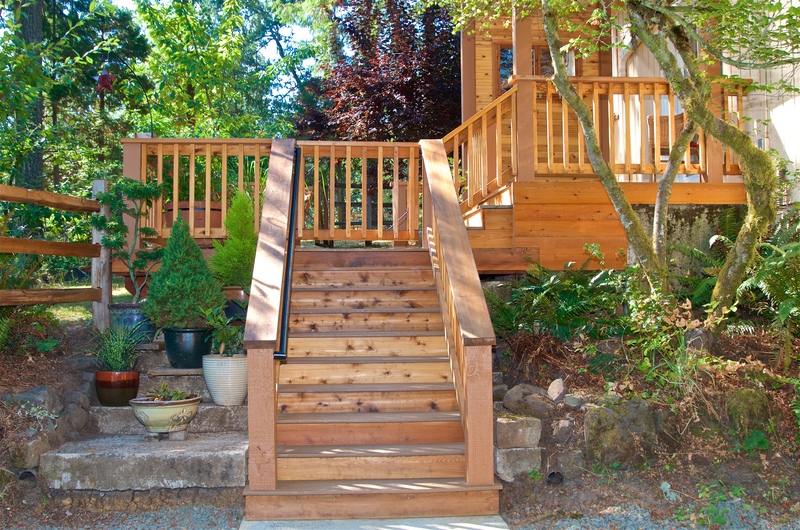 Our clients’ home is nestled in the Eugene Hills and we wanted to make sure their new deck was a dream come true. 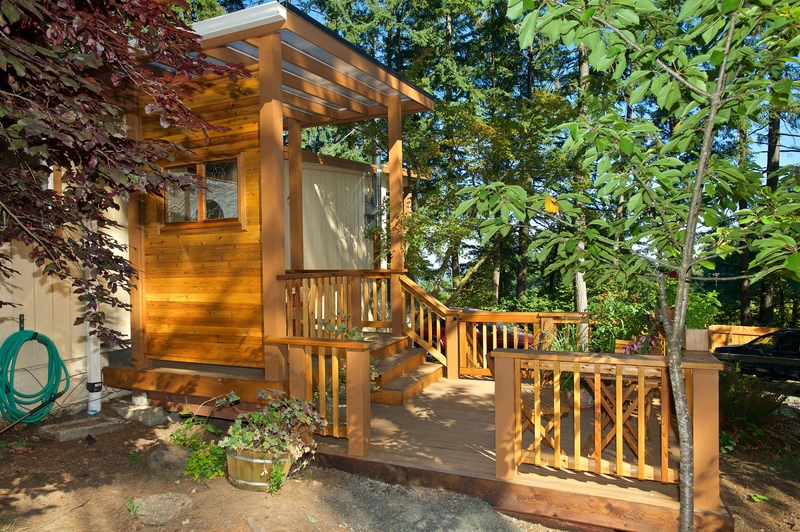 They can now proudly enjoy sitting and relaxing on their reliable, made to last Cedar deck. Not only have we improved the curb appeal of our clients’ home, we created an intimate space where they can have friends over for coffee in the morning, curl up in a chair during a warm summer night to listen to the wildlife and even cultivate their green thumb with space to grow their flowers and herbs. 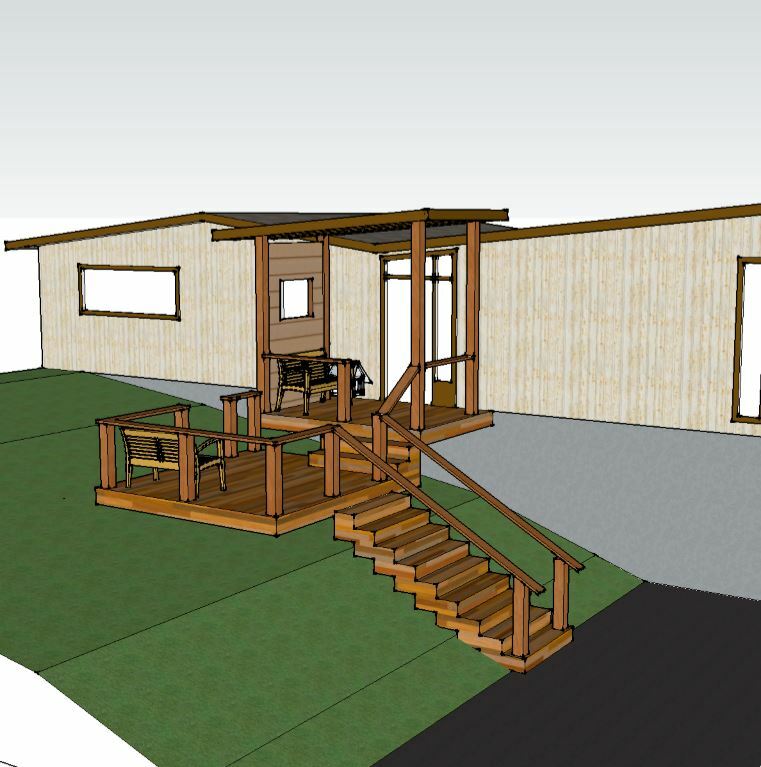 The top picture shows the comparison of before and after the renovation, but it began with a simple Deck Renovation Sketch as shown below. Castile Construction is Certified in Universal Design through the National Association of Remodelers (NARI). This furthers our commitment to helping design your Remodel vision to completion. 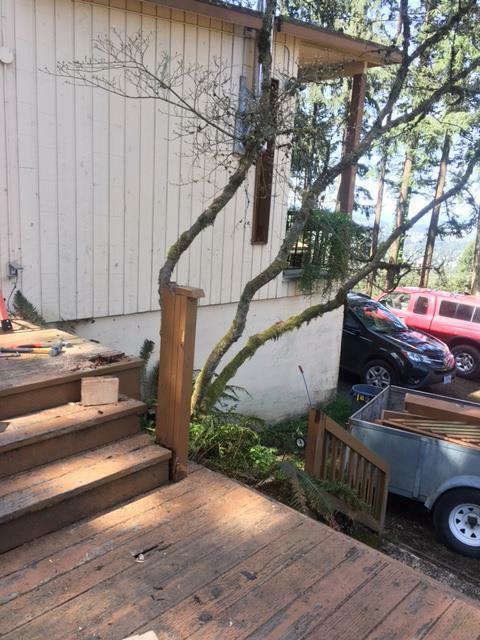 Sometimes it is hard to imagine the finished product when you are starting out with a design, so following is what the Front Deck looked like before Castile Construction started their work. 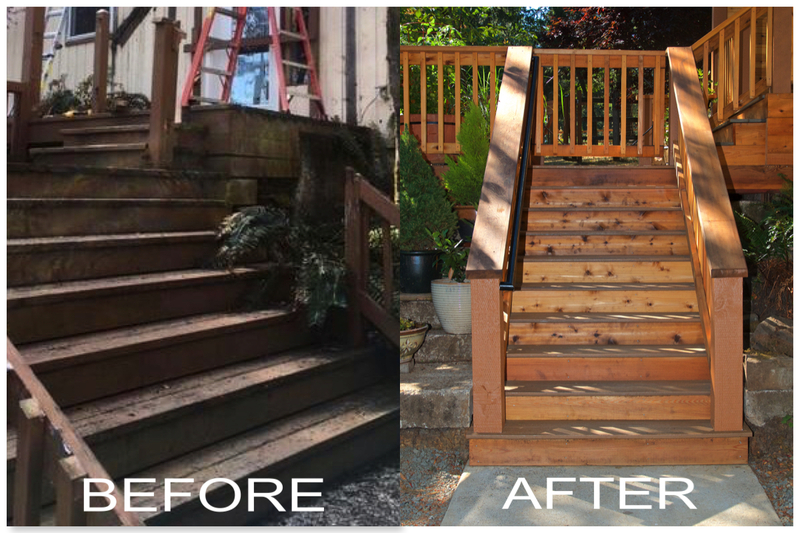 It is also much safer and more secure, as you can see from the before and after photo of the stairs alone! We replaced the unstable wood with high quality Cedar Wood and installed smooth wooden railings. During the final inspection, we made sure that each construction process was completed and this deck matched every specification our clients’ dreamed of in their design. Here are a few more photos of the wonderful work the Castile Construction team did, so if you’d like to dream up your ideal deck, contact us to become your New Deck Construction Contractor today! And don’t forget too, Castile Construction also is an indoor remodeling specialist for Kitchen Remodeling, Bathroom Remodeling and Whole Home Remodeling.